Summary: A genre-defining (or redefining) hit. 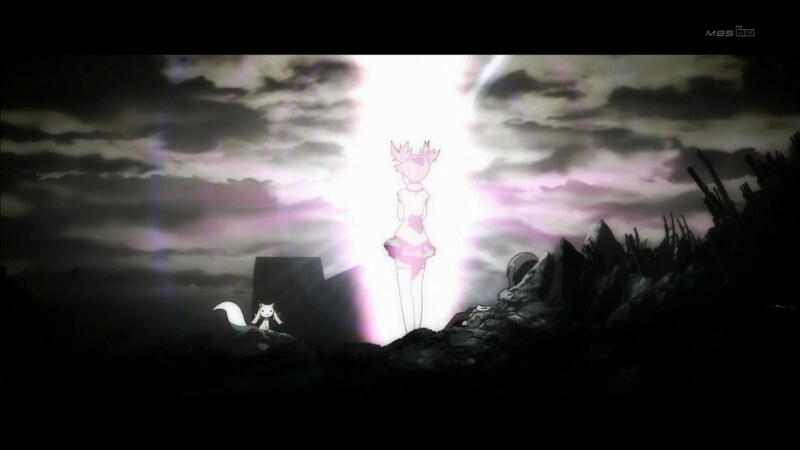 Mahou Shoujo Madoka Magica never failed to excite or surprise. 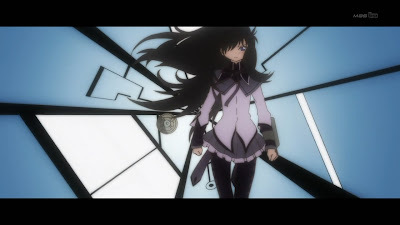 Right from the start, we were thrown into a dark dream world where a mysterious black-haired girl is fighting while our protagonist, Madoka, watches helplessly from the sidelines. The producers, Shaft, did not expect their staff list to be leaked out early, and were planning to do a double bluff. 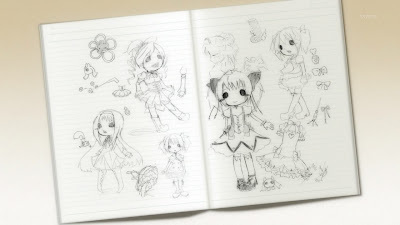 Show us a dark world, and then throw us back into a cute and cuddly world of schoolgirls with magical powers. Since this was a 12 episode series, they wasted no time in building up a sinister atmosphere among the cuteness before the tonal change in episode 3. I won’t go into spoilers here, but expect lots of plot twists and one hell of a ride. 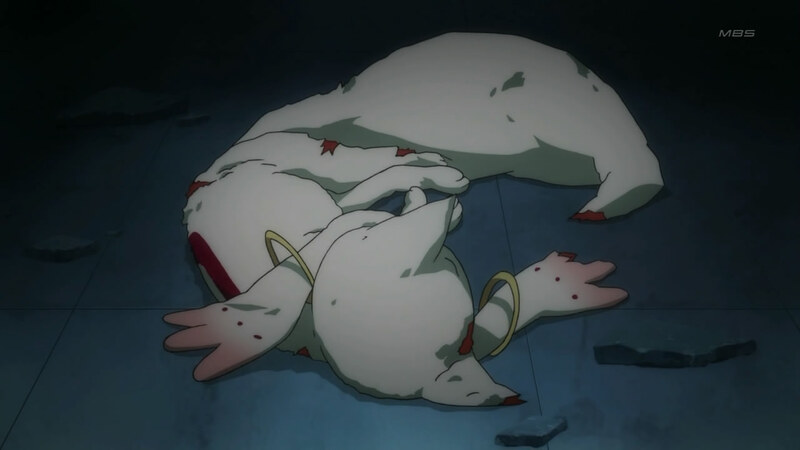 Not afraid to hurt a cute little creature like Kyubey. Urobochi Gen is now a name many anime fans will remember. His past works have already gained him some fans (those who like dark, morbid stuff), but Madoka solidified his status as a top-notch writer. The twists and turns in this series all have a nice build up and great “WTF” moment when they are finally revealed. Some of these twists are kinda expected, but nonetheless, the execution is perfect and well worth sifting through the red-herrings. 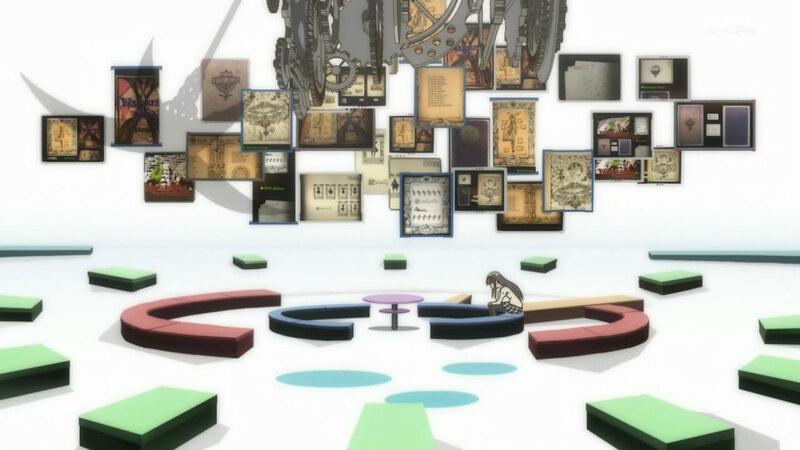 The story is incredibly well planned, with seemingly throwaway elements actually having some importance in some way to the Madoka universe. 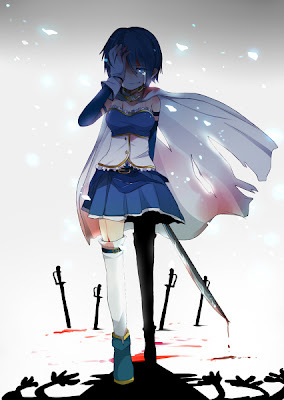 A mahou shoujo protagonist who isn’t a mahou shoujo? Weird and wonderful witches. And also the start of all those Faust references. Episode 1 hints? Well done Shaft! But as good as Urobochi is with a pen, it’s the Series Director’s vision, the Storyboarder’s deft touch, and the Sound Director’s sinister tunes that make it so enjoyable to watch. Like a good rollercoaster, it spends just the right amount of time building up tension before the sudden descent into darkness. 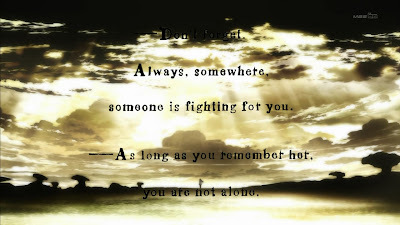 All the important scenes are wonderfully framed, from the Kaname household to the Walpurgis Night battle. The backgrounds in this show really stand out, but that’s a given for Shaft’s architecture-obsessed background artists and also Shinbo’s love for all things colourful. 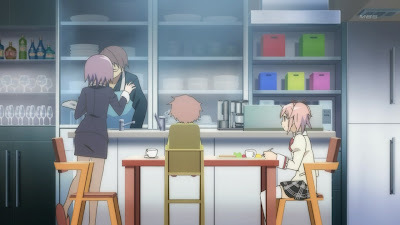 Every Shaft household shows OCD-ness in its well-organised colour-coded environments. Even clean white rooms are littered with colours. My favourite witch world. Full of creative animation. 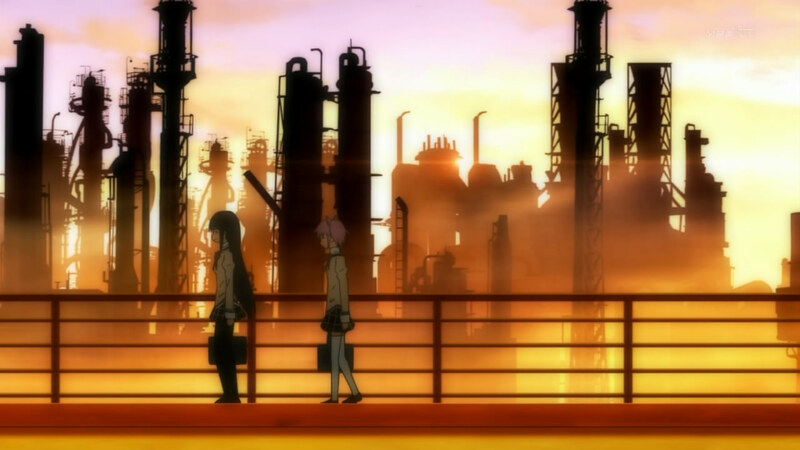 Shaft has an obsession with industrial architecture. Madoka delivers on the entire package. Well, almost. The animation may be fast and fluid, but that comes at the cost of some really bad still frames. Most of the time I don’t really notice it, but when it does creep up, it ruined the atmosphere for me. None was more blatant than a particular scene of this season’s Denpa Onna though. Teh internets jumped on these badly drawn frames are created a meme out of it. As if this show didn’t already have enough! 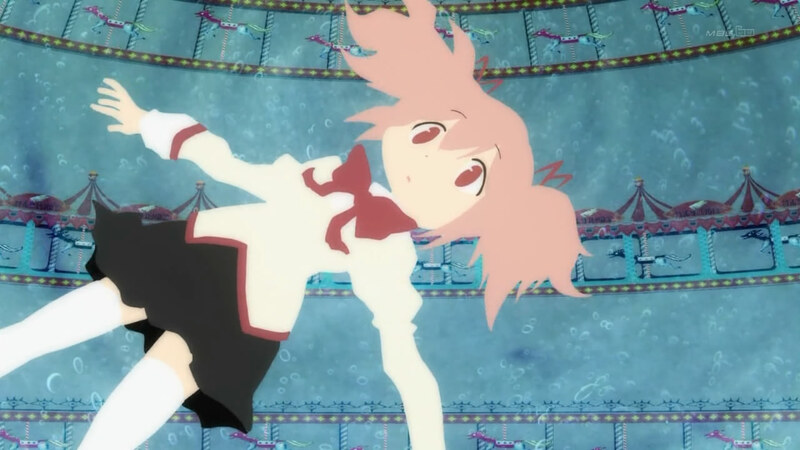 As the quality of Madoka suffers, so does meduka. Click to see full version. After a particularly surprising episode, anime communities all over the world jumped upon this show with fervor never seen since Haruhi. It’s these shows, the ones that blend anime culture/cliché (moe in Haruhi, mahou shoujo in Madoka) with great story telling, that manage to unite anime fans of all kinds. Anime blogs were raving about the latest episodes, with episodes 6 to 10 all being called “BEST EPISODE EVER” after each broadcast. How many shows do you know that manage to top itself week after week with such consistency? I know I was swept by this craze as well. I would immediately watch the latest episode twice when I get a hold of it. And then another time during the week. And another just before the next episode airs. When 11 and 12 came out simultaneously, I marathoned the first 10 before watching them. 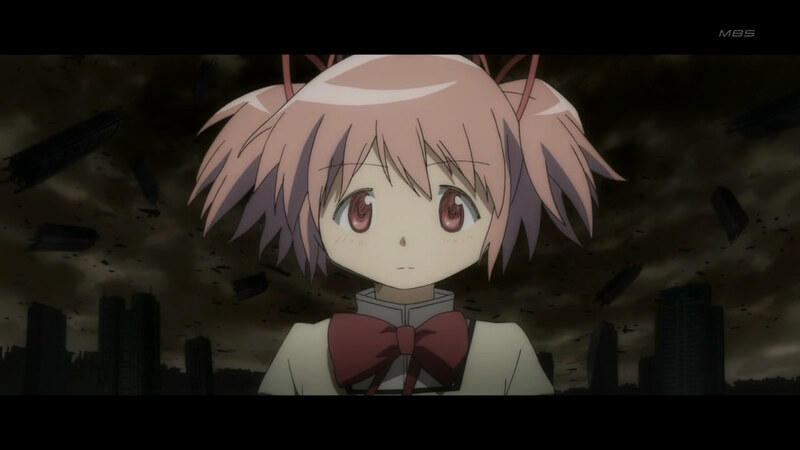 A week later, I was suffering from Madoka-withdrawal, so I marathoned the whole series again. 6 times? Beat my personal Cardcaptor Sakura record (4 times) already. pixiv artists drawing lots of fantastic fan art, even for the side characters. The main reason behind my many re-watching is simply because they manage to make everything look so damn cool. Everything from Kyubey’s revealing speeches to Commando Homura’s many adventures, if the plot twist doesn’t leave you with a WTF expression, the action will. It’s not over-the-top crazy as some of Gainax’s works, it’s a different kind of crazy that works damn well as a genre-redefining anime series. There, I said it. Mahou Shoujo Madoka Magica deconstructs well-worn mahou shoujo tropes and redefines what it means to be a Magical Girl. Commando Homura in what has to be one of the best Anime episodes ever. Seriously. I realise my “review” has turned into a fanboy’s excited and incoherent rave, so I should stop before I start debating about the ending’s polarizing reviews. If you are on a rollercoaster, do you want it to end with a huge sudden drop? Of course not. What’s important is that the coaster slows down and stops for you to get off. OK, poor analogy, but you get my drift. I was initially disappointed at the ending, but later grew fond of it for having a nice closure. The ending is epic in its own way. 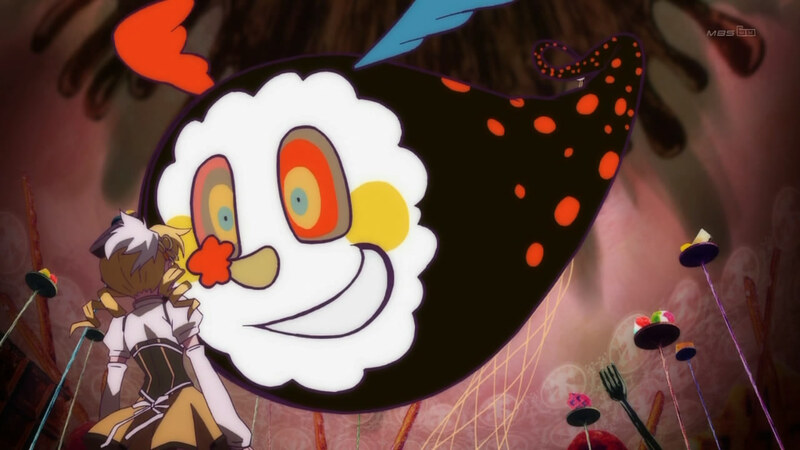 Mahou Shoujo Madoka Magica has a huge impact to my anime-watching life, and that’s all the justification I need to give it 5 out of 5. This was actually drawn by Madoka’s seiyuu herself. Note: Let's see how many hits a late review of Madoka will get, even after I throw in a boat-load of images.